The fast and the studiously racing in accordance to all rules and laws. 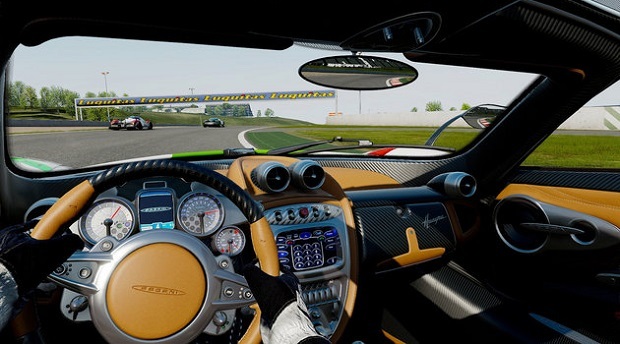 Project CARS is not what you think of when you think Hollywood- it’s a niche racing simulation game franchise, that managed to cultivate a following with the first game, and will hopefully expand upon it with the second one. But the franchise is grounded in realism (so much so that it even eschews a gamey career mode), with no Hollywood fare in there anyway. But it looks like Hollywood might be looking at picking it up anyway. According to GTPlanet, who spoke to developer Slightly Mad Studios’ CEO Ian Bell, the developer has signed a multi year franchise deal with a Hollywood studio. That’s all we know for now, and we are not likely to learn more any time soon, since the deal won’t be revealed for a few months for now. Until then, you have Project CARS 2, which is due out later this year for Xbox One, PS4, and PC, to look forward to, at any rate.